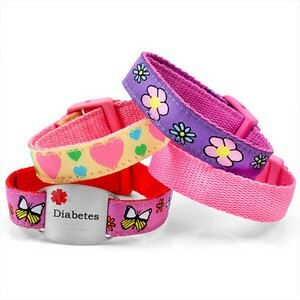 This four pack of nylon and polyester straps comes with an interchangeable Diabetes plaque. Each strap has a snap-lock clasp in order to ensure it will stay on a child's wrist while they play. Additional engraving can be added to the back of the Diabetes tag.